There are a number of reasons a motorcycle owner might want to detail their bike. First and foremost we all love our bikes and want to keep them performing and looking their best. It is also a crucial first step towards selling a motorcycle— a spotless showroom-clean bike is guaranteed to fetch the highest price. Finally detailing a bike on a regular basis can also expose mechanical problems that wouldn’t otherwise be obvious. Using a garden hose simply spray down the lower sections of the bike with a hose. This will remove the largest dirt particles and prevent scratching. Using a high-quality microfiber or sheep’s skin wash mitt and automotive or motorcycle wash detergent gently wash all the hard surfaces of your bike, then gently rinse with a hose. Unless your bike is extremely greasy it is best to avoid harsh soaps like dishwashing detergents. Another option is a waterless wash and can be used on bikes that are not overly dirty. All you need is a waterless wash solution and a high-quality microfiber towel. Simply get the surface wet with the product and wipe dry making sure to turn and switch to clean towels often. This will avoid any micro-marring that can happen to soft paint. Since they are usually made of a different material, wheels and spokes should be washed separately. Start by washing your wheels and tires with wash soap and a mild tire cleaner. This will remove any oils from tire dressings and road film. Once the wheels and tires are clean and dry you can go about polishing and protect your rims. Chrome can be polished with a fine chrome polish then waxed to help keep the shine. Uncoated aluminum can be polished with aluminum polish, and coated aluminum is basically treated the same as your paint on your bike, it can be lightly polished and waxed. 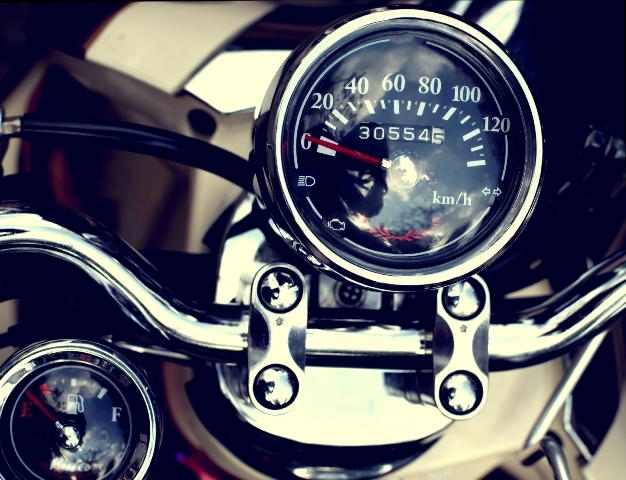 Motorcycle dashes have many different surfaces and electrical parts that you do not want to get wet if possible. For general clean up and protection of your dash, we recommend using a cleaner that provides UV protection for your plastics both clear and colored. 303® Clear Vinyl designed to safely clean clear plastics and provide a UV protective coating. This will also work well on your plexiglass windshield. Properly cleaning your engine depends greatly on how dirty your engine is to start with. You may just need a quick once over with a soft bristle brush and bike wash soap during your initial washing, or you may need a tough degreaser. Regardless of your cleaning method, engines should be cool and in the shade whenever cleaning is taking place. The instructions for engine specific cleaning compounds should be followed closely. 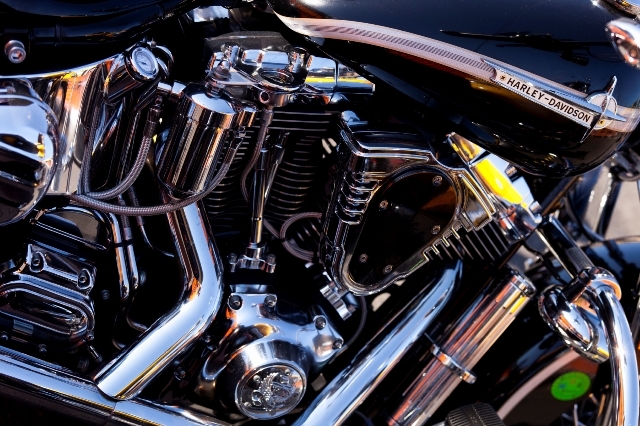 Highly corrosive compounds can damage other parts of a motorcycle including the paint, chrome, leather, or cloth. As with the dashboard and controls for the bike, chrome should be polished in a shaded area in cool non-humid environments. Generally, it is a good idea to perform the chrome polishing cycle twice with a break in between to finish work on another step in the detailing process. This often produces better results than a single pass. To extend the life of your polishing job it’s a good idea to follow up with a quick coat of wax. The leather on seats can vary greatly; it can be natural aniline leather, coated leather or very high-quality vinyl that feels like leather. All these require different leather care. In general, a good cleaning and protecting, with a non-slick protectant will keep your seat looking new for a long time. If possible, use the softest water available and make absolutely sure to absorb excess water completely to avoid spotting or leaving any residue behind. The correct procedures for removing excess water can be a rather complex subject on their own, but they are definitely worth studying, as a proper rinse will only benefit motorcycle’s appearance. Motorcycles have many nooks and crannies so an easy and safe way to dry your motorcycle is a metro sidekick. A metro sidekick provides high pressure filtered air so you can be sure that you are getting your bike completely dry. Anything missed by the air drying can be dried with a soft microfiber towel. Paint on motorcycles is treated little different than paint on your car. Depending on the paints current condition you may just need a light claying and polish followed by wax or sealant. If your paint has been neglected you may need to machine compound before polishing and waxing. 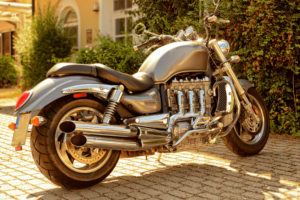 Motorcycle detailing is work for a patient person but in the end, you will be rewarded with a well-maintained bike that will draw crowds at the next bike night or draw top dollar if you are looking to sell it. Hello, we have passed along your message and information to the Events Team and you should hear from them shortly!